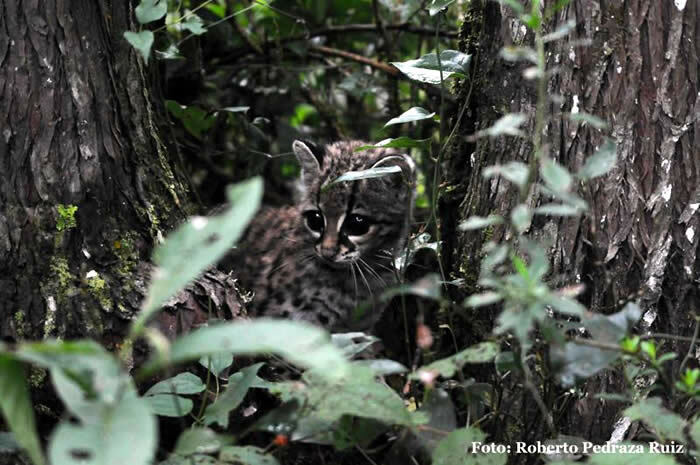 A young Margay (Leopardus weidii) rescued by World Land Trust partner Grupo Ecológico Sierra Gorda (GESG) proved quite a challenge but there was a heart warming outcome. The kitten was found in a house, in a very distressed state with a rope around her neck. 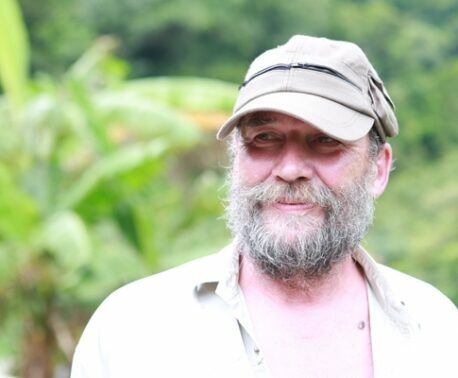 Roberto Pedraza (GESG technical adviser) said: "As she was so young we knew we were not able to release her back to the forest straight away, so we reared her for a few months. First we fed her with milk and kitten food, then after a while some dead mice and then some alive ones." Roberto proudly watched over Nina, as she had become known, until he felt that she had the learned the necessary skills to survive in the wild. He added that although she liked interacting with humans, she kept her wild side. "She never became tame at all; she liked me because I was the 'food-guy', but she was always ferocious in her own way." 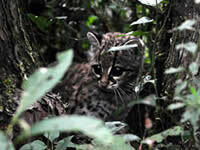 Happily, Nina was released in one of Sierra Gorda's cloud forest reserves in the Hoya del Hielo area. "Previously we photographed two jaguars, one puma, an ocelot and a margay here, so it is quite the right place for her," says Roberto. World Land Trust's work in Mexico has included funding the purchase of 720 hectares of land as part of the Sierra Gorda Biosphere Reserve in the state of Queretaro and work on reforestation and assisted regeneration for our carbon projects. Find out more about the projects on our Mexico page.